Ilyashev & Partners Law Firm provides the full range of legal services in international trade area aimed at increasing the clients’ business value and mitigating the risks when conducting import and export activities. — Analysis, assessment and development of draft regulatory acts. The Team is widely known for its extensive dispute resolution practice, protection of companies’ interests in special (safeguard) and anti-dumping investigations, advisory activities during negotiations on free trade, WTO and EU laws. In recent times, sanctions have been widely discussed and debated not only in the narrow expert community, but also by members of the public. This is mostly due to the Ukrainian crisis which caused a wave of restrictions and personal sanctions imposed by the United States, EU, Canada, Australia, and Russia’s subsequent response in the form of embargo on food and agricultural products. Basically, the discussion centres around the effectiveness of sanctions and the impact they have on the economy of a particular country. Last year saw a number of grave scandals brought about by circumvention and violation of the sanctions regime, including the supply of Siemens gas turbines bound for Russia that turned up in Crimea and the export of coal mined in Donbas to the EU by Doncoaltrade, a Polish company. Ukraine and Russia were in the thick of risks of doing business. It is no secret that a sizeable share of Ukrainian companies are still owned by Russian beneficiaries or related parties. This exacerbates the situation, and many foreign and international companies have tightened their counterparty due diligence and selection rules for the conclusion of new contracts in our region. The legislative frameworks of the United States, EU and Canada contain anti-circumvention provisions, including the use of subsidiaries registered in other countries. The role of legal advisers in the sphere of sanctions has increased significantly. Sanctions are used by national governments or multinational bodies to influence and persuade certain governments to alter their policies. Sanctions impose complete or partial restrictions on trade, investment or other commercial activity. They are instituted in response to actions by certain states, individuals and entities that pose a threat to international and national security. These include military operations and armed intervention, terrorism, cybercrime, narcotics trafficking, human rights abuses, arms trade, etc. Sanctions take a variety of forms and can be either comprehensive, blocking all trade with sanctioned countries (such as US sanctions against Iran) or sectoral, affecting certain sectors of the economy and groups of people (such as EU sanctions in relation to designated Russian financial institutions and oil exploration and production); or targeted, limiting transactions with certain individuals or companies, including travel bans, asset freezes and other financial restrictions. Targeted list-based sanctions have been used extensively in recent times as they enable precise focusing on individuals and groups that threaten national security, foreign policy and the economy. The European Union, United States and several other Western countries keep in place the sanctions imposed by them on Russia due to annexation of Crimea and Russian involvement in the ongoing conflict in Donbas. Multinational bodies, regional organizations or individual countries can apply sanctions for foreign and security policy purposes. UN sanctions are based on resolutions adopted by the United Nations Security Council. As the responsibility for the implementation of sanctions is vested in governments, such sanctions do not directly restrict companies or individuals until mechanisms for the application of relevant sanctions are incorporated into national legislation. The European Union imposes sanctions through a Common Foreign and Security Policy Council Decision adopted by Member States unanimously. EU Member States administer and enforce EU sanctions through their own national legislation. EU sanctions are binding on EU nationals and companies within EU territory, including on board aircrafts or vessels under the jurisdiction of a Member State. The UK applies sanctions largely in line with those agreed at the UN and within the EU. However, it is easier to circumvent sanctions, especially after Brexit, as they are not binding on non-EU subsidiaries operating outside the EU. In the United States, sanctions programs are implemented by several bodies. Presidents typically launch the process by issuing an executive order. For the most part, the existing sanctions programs are administered by the Treasury Department’s Office of Foreign Assets Control (OFAC). Departments and agencies of the U.S. Government enjoy broad powers to apply sanctions, supervise their implementation and hold violators liable. In contrast to the above organizations and countries that had a legal basis for imposing sanctions, Ukraine needed time to adopt it. In 2014, the Verkhovna Rada of Ukraine adopted the Law On Sanctions authorizing the President, Parliament, National Bank of Ukraine, Cabinet of Ministers and Security Service for the initiation and cancellation of sanctions. Sanctions are instituted by the National Security and Defence Council of Ukraine (NSDC) and put into effect by Presidential Decree. However, this is a framework law which needs to be further elaborated bearing in mind the last four years of law-enforcement practice. It was rushed through legislative process as the country had no previous experience of taking large-scale measures to protect its national security. In 2017 the law was amended by prohibiting the Antimonopoly Committee of Ukraine from granting merger approval. In addition, the State Service of Special Communications and Information Protection of Ukraine proposed to amend the law by adding new sanctions, namely prohibiting or restricting the use of critical infrastructure software and telecommunications equipment designed/manufactured in a foreign state designated as subject to sanctions. A vivid example of the acute need to improve Ukrainian legislation is the law-enforcement practice of sanctions adopted last year against a number of Russian companies, particularly Yandex, VKontakte and Odnoklassniki social networking web-sites3, as well as numerous lawsuits against the President filed with Ukrainian courts. The law does not clearly provide liability for breach of sanctions, a proper sanctions implementation mechanism or additional powers to public authorities to oversee the execution and circumvention of sanctions. In addition, grounds for imposing sanctions and the procedure for introducing initiatives for their application and lifting have to be reworded, while certain sanctions have to be clarified. This, however, did not prevent the President of Ukraine and the National Security and Defence Council from adopting an updated list of sanctions against legal entities and individuals in 2017. There is no doubt that economic and trade sanctions affect international trade and often lead to counter-sanctions. This was exactly the case with trade relations between Ukraine and Russia in 2017. In terms of bilateral trade, a preferential regime envisaged by the CIS Free Trade Area was suspended, Russia’s embargo on EU food items and Ukraine’s import ban on Russian goods were extended, and the number of anti-dumping measures applied was increased. Those most affected by trade embargoes and sanctions are agricultural consumers and companies dependent on raw materials, rather than government officials. In 2017 the Russian Federation requested consultations with Ukraine under WTO dispute DS525: Ukraine  Measures relating to Trade in Goods and Services4. In this dispute the Russian Federation challenged the sanctions imposed by virtue of Decree of the President of Ukraine On the Resolution of the National Security and Defence Council of Ukraine on the Imposition of Personal Special Economic and Other Restrictive Measures (Sanctions) of 15 March 2017 No 63/2017 of 16 March 2017. For its part Ukraine made a request for the establishment of a WTO Panel regarding DS512: Russia  Measures Concerning Traffic in Transit5. Third parties included Australia, Bolivia, Brazil, Canada, Chile, China, European Union, India, Japan, Korea, Moldova, Norway, Paraguay, Saudi Arabia, Singapore, Turkey, United States. It is not improbable that within the framework of this dispute Russia can refer to GATT Article XXI — Security Exceptions allowing the application of trade restrictive measures and providing maximum freedom for countries to independently determine and take any action they consider necessary to protect their “essential security interests” taken at a time of war or other emergency in international relations. GATT Article XXI was rarely used and had not previously been officially interpreted by the WTO Dispute Settlement Body. Therefore, there is no practice for determining the legitimacy of national security interests under subjective decisions of individual WTO member countries, and elements that affect the order, conditions and circumstances of the application of GATT Article XXI. 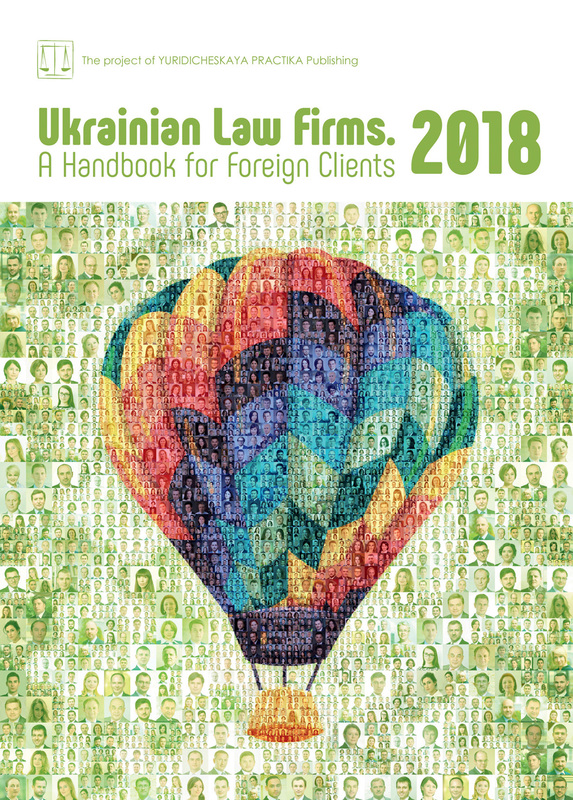 The dispute between Ukraine and the Russian Federation may become a precedent in interpreting GATT Article XXI, which will affect the understanding of the legality of its application. Until now, Article XXI was considered a Pandora’s box, whose opening could cause the current system of trade law to fall. That is why the EU, USA, Canada and Australia were in no hurry to appeal to this Article even after the Russian Federation had imposed its embargo on food products. Last year confirmed in general that the movement of goods between jurisdictions is increasingly subject to financial and trade restrictions. In Ukraine, issues of export control, interaction with economic and trade sanctions regimes, and assessment of potential risks associated with specific contracts, relations or proposed business processes remained pressing, and the need to improve the mechanism for imposing and lifting sanctions has increased.